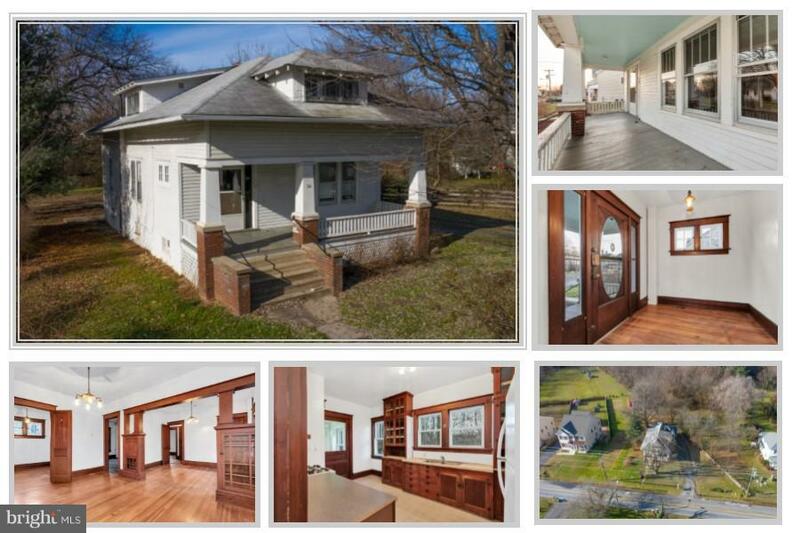 Super charming Lovettsville bungalow, believed to be an original "Sears & Roebuck" house. Beautiful original trim work and built in cabinetry throughout. Dont miss the built in pull down desk in the living room. Expansive front porch plus covered back porch. 4 bedrooms (1 on main level) and 2 full bathrooms (1 on main level) on a .49 acre lot with barn at the back of the property. Walking distance to Lovettsville Elementary School, Town Square, shops, restaurants, community center, pool and more! Sold as is.